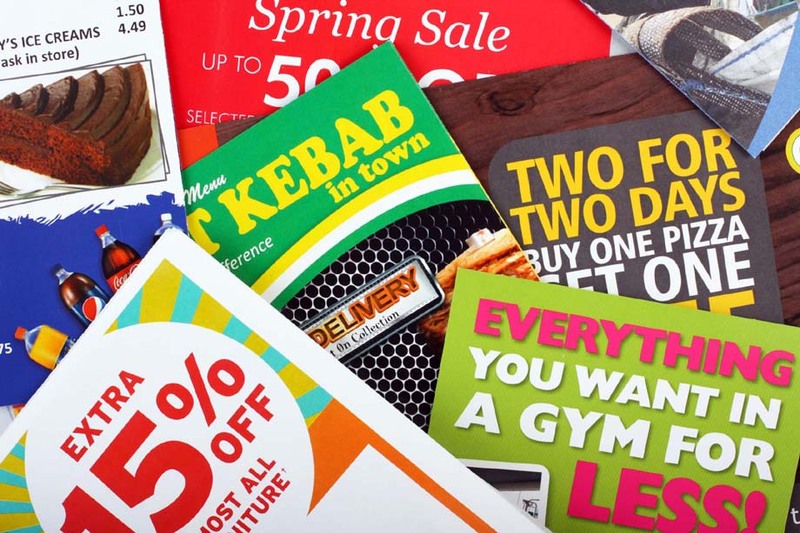 Flyers are most commonly used for promotional exercises, i.e. advertising forthcoming events, clubs, charity events, sales and any other function that requires informing potential clients or visitors of its date and venue. Likewise, restaurants, bars and shops find them useful for advertising and selling promotional offers, etc. They are also used extensively during general and local elections by politicians to convince the electorate that they are the candidates and parties whose box you should tick! 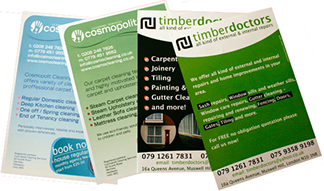 Flyers can be A6, A5, DL (one third of A4) or A4 (leaflet) sizes. In each case, we can print on both sides in stunning colour on various media, typically for A6 (postcard) flyers, we print on silk artboard in either 250gsm or 350gsm (postcard weight). For other stock and for special finishes (varnish, matt or gloss laminate) please call us to discuss. Please note that VAT is usually zero rated for flyers. NB: all prices shown are subject to VAT at the current rate. Copyright © 2014 The Printhouse. All rights reserved.